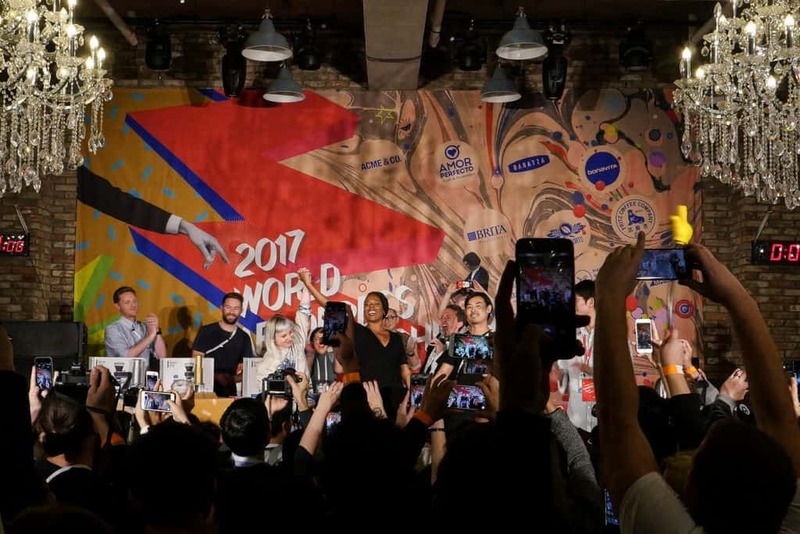 The World AeroPress Championship (WAC) has gained a great popularity among the coffee people from around the world, and its 10th anniversary proved so, bringing a big party in-style. Garden at Cafe Alver a day before the World AeroPress Championship 2017. The event, whose final round that gathers the national champions travels around the world. 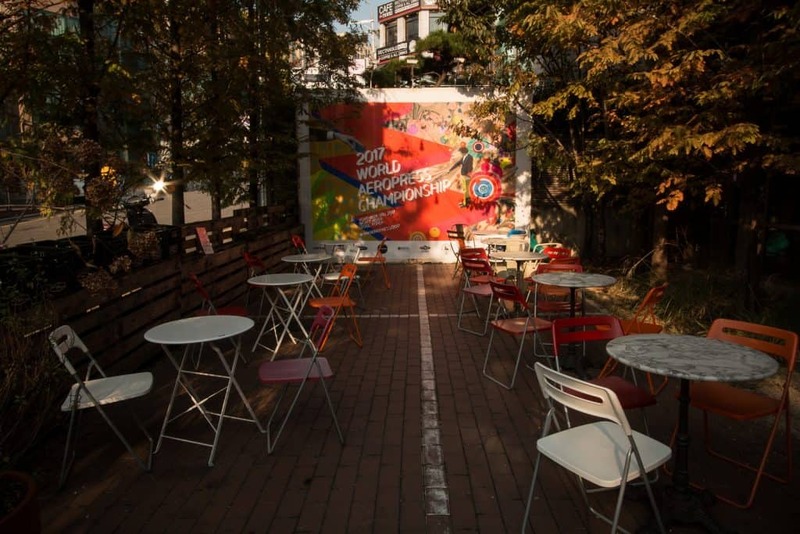 This time, the event was held in Seoul, South Korea, hosted by the spacious Alver Cafe on a hip street of the Gangnam district. 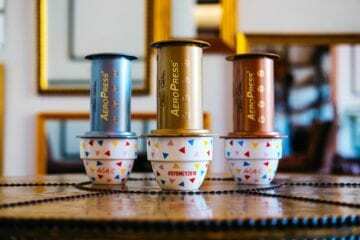 8th of November, the door of the cafe opened at 6.30 pm, welcoming the first rounds of the total of 58 AeroPressers from all around the world, who started to float onto the stage at around 7.00 pm. And they didn't stop until about three hours later when the champion was announced. The WAC is known to be a face-paced and fun competition. The audience was entertained not only by the brewing on stage but also by the tireless MCs Michelle R. Johnson of Barista Hustle and Marcus Boni of Intelligentsia Coffee, who amused the crowd with their conversations as well as their regular change of outfits. Not long after 10.00 pm they also invited the finalists onto the stage. This year’s special upgrade and a bit of a game-changer was the wild card ballot system. Thanks to it, in the evening, two lucky competitors, who were unfortunately out of the game already, got another shot in the qualifiers. The lucky ones were Sandra Halme from Helsinki and Paulina Miczka from London. “We counted it, and it was a 2%-chance that they would pick the ball with my name,” told us with excitement Paulina. Not only that she returned to the game, but she qualified for the final round too. She was accompanied by Yusuke Narisawa of Japan and Park Jeong Su of South Korea. Out of 11 judges that rotated during the evening, 3 of them got the trust to choose the new champion. The all-time legend, Tim Wendelboe, Junsun Bao of Namusairo Coffee and BK Kim of Fritz Coffee Company. 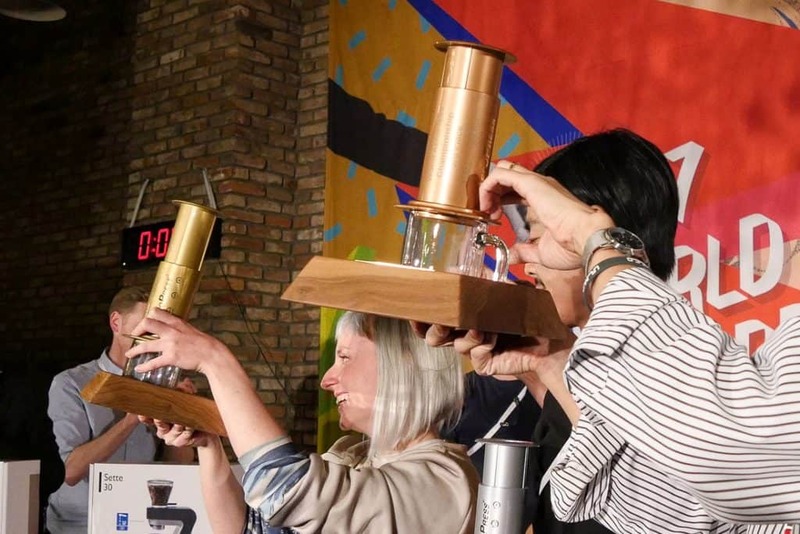 After a quick slurping session they all were ready to point their index fingers and, in a split second, we knew the 2017 World AeroPress Champion! 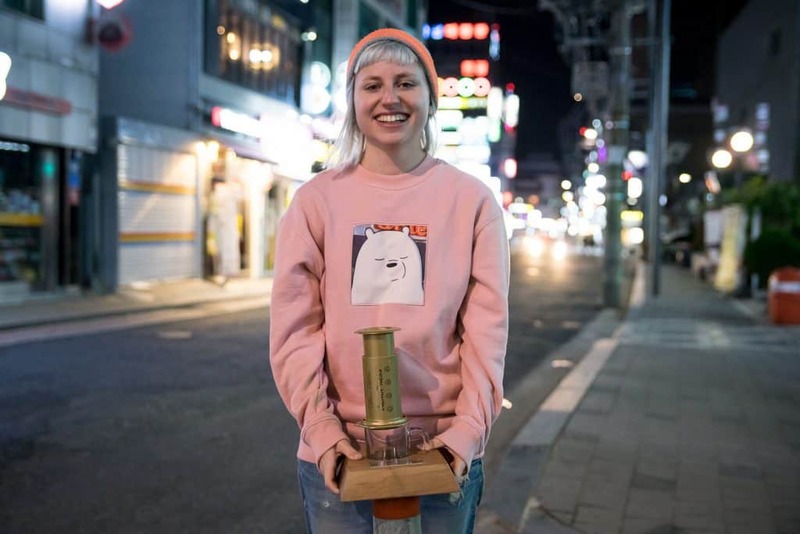 Paulina Miczka with her golden AeroPress in the streets of Seoul. She observed the development of the whole competition as well. 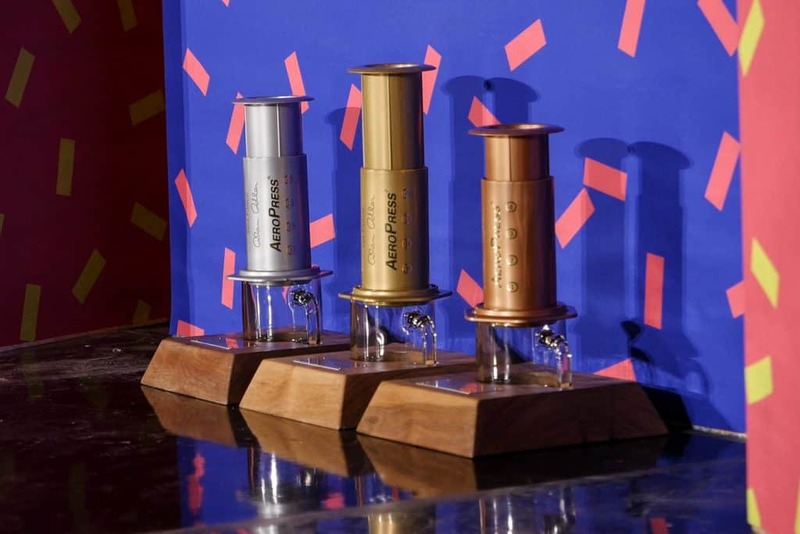 “Aeropress Championship has grown up and it's incredible how it is still connecting people and building up the community.” If she doesn’t travel, you can find Paulina behind the bar at Kaffeine in London. 35 g of coffee for 320 ml of water. 0-15 s pour 150 ml of 84°C water. 15-35 s stir 35 times. Put a lid on top with a pre-wetted filter. 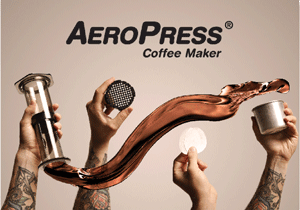 1:05 min flip the AeroPress and start pressing. 1:35 min stop pressing, you should have 90 ml of the brew. Add 170 ml of hot water and enjoy! 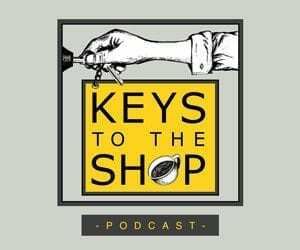 The competition coffee was Kenya Kamwangi AA roasted by Fritz Coffee Company in Seoul and sourced by Cafe Imports. The water Panda used is called Aqua Pura, to which Panda added some of the Third Wave Water minerals. 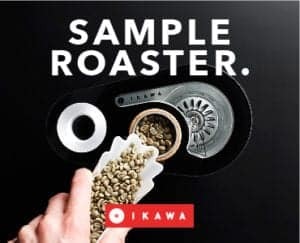 She also used the refractometer on stage: “Tasting coffee on the stage, before serving it to the judges, can be quite stressful and I decided that I could use a small help. 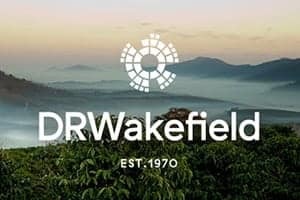 I knew my coffee will reach the right balance of acidity, sweetness and body at the TDS of approximately 1.45%, so I went for it,” explained Panda her stress-proof method. 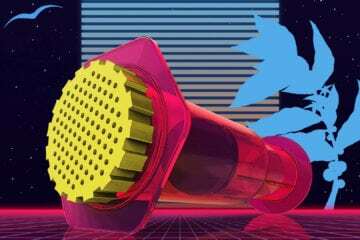 While playing with the minerals in the water and utilising the advanced equipment, perhaps the most important tactic was using already tested recipes. 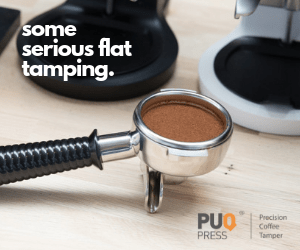 “The recipe I used was created by taking inspiration from Filip Kucharczyk's recipe,” gives Panda credit to the World AeroPress Champion 2016. Even though Panda represented England in Seoul, her nationality is Polish, which makes her already the third Pole to hold the trophy in their hands. 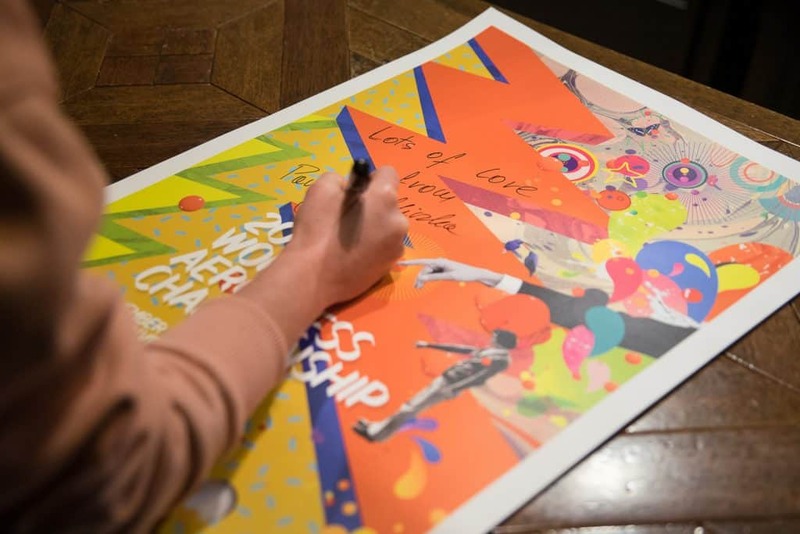 Paulina signing the WAC posters for the AeroPress Movie supporters. 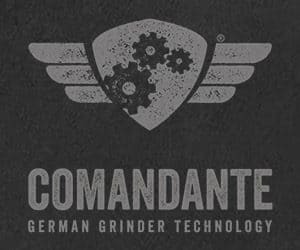 We were really excited to be part of this annual event! 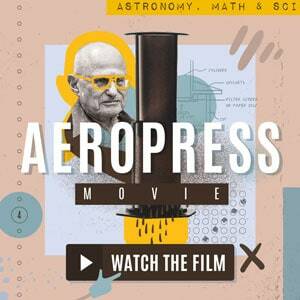 Especially, because we were capturing all these moments also for our documentary – AeroPress Movie. Well done the WAC team, we are ready for the next season!